When talking about a country’s cuisine, it isn’t enough to simply list some of the popular ingredients and dishes and think that you truly understand. Yes, feta cheese, olives, and oregano are important elements of Greek cooking. 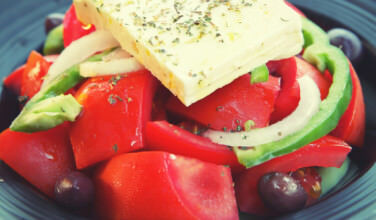 Greeks do eat a lot of fresh fruits and vegetables that have been grown locally. They love seafood, lamb, and anything else the land produces. 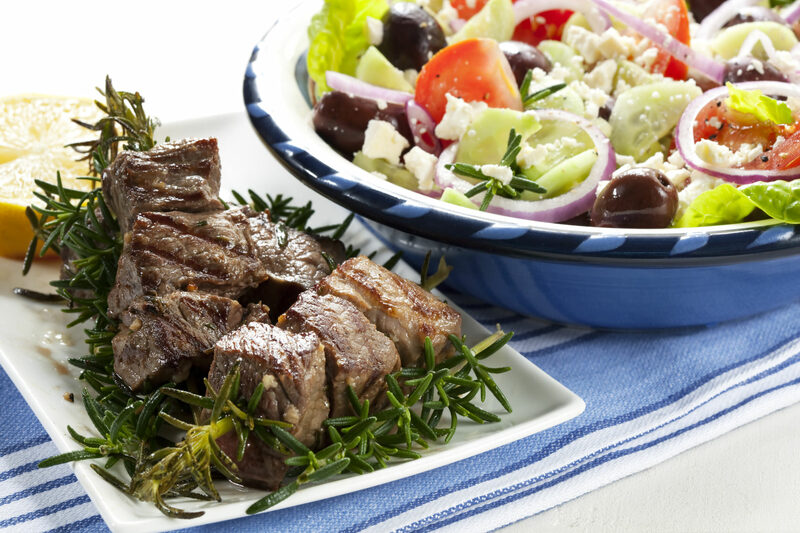 They love to cook things like traditional Greek village salads (horiatiki), roasted lamb, and other fabulous dishes that showcase how delicious and fresh Greek cooking really is. 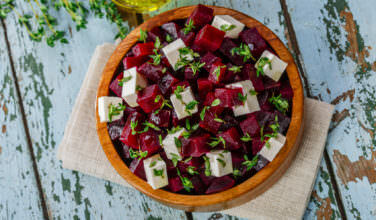 But there is another thing that needs to be understood – how to assemble the perfect Greek meal. Like most cultures, Greeks eat breakfast, lunch, and some kind of dinner. Traditionally, their main meal is taken around lunchtime, but the timing of this meal changes depending on people’s schedules. If working in a traditional office environment, the main meal might be later on the day, after they get home in work. However, even in a work environment, it is still possible to eat the main meal during midday, as long as they are able to take a longer lunch break. 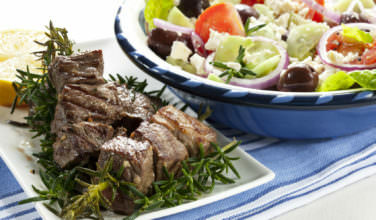 The third meal of the day is usually smaller and if the main meal was taken at midday, this third meal would be later on at night and would involve dishes such as Greek salad or popular meze dishes, such as dolmades and maybe even a gyro. No matter when the main meal is taken, whether it is at lunchtime or much later, it is traditionally the largest meal of the day. It is served family style and there is no need to bring the dishes out in formal courses. Everything comes out at once and depending on the variety of dishes, the amount of food offerings that are on the table could be vast. There might be a pot of soup, a village salad, or horiatiki, a platter of olives and feta cheese, bread, slow roasted vegetables, meat, such as lamb or goat (depending on where you live), seafood dishes, fried potatoes, and more. Basically, the person who cooked the meal intuitively assembles offerings that are healthy, fresh, and nutritionally sound. There is always plenty of olive oil to go around, too, and people tend to add olive oil to finish off their dishes if they want. The main goal here is to create a “banquet of dishes” that are delicious, well-rounded, and satisfying. Family dining is expected in Greece and even though people may not get together as often as they like, it’s not uncommon for friends and family members to gather on a regular basis to share their meals together. Preparing the meals is often a social occasion, as well, and many of the guests regularly make their own contributions. 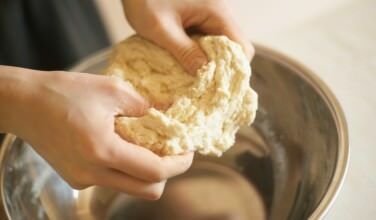 For instance, someone may bring bread that they baked fresh that morning. Another person might bring some fish they may have caught, or some fresh tomatoes from their garden. It’s this sense of community that elevates each meal and makes it truly special.